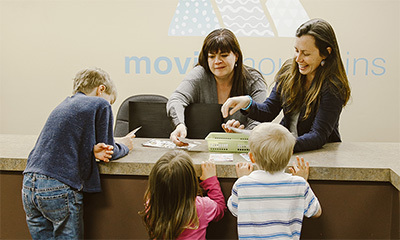 At Movin’ Mountains we have a variety of therapy options to best fit your child’s unique needs and your family’s circumstances. 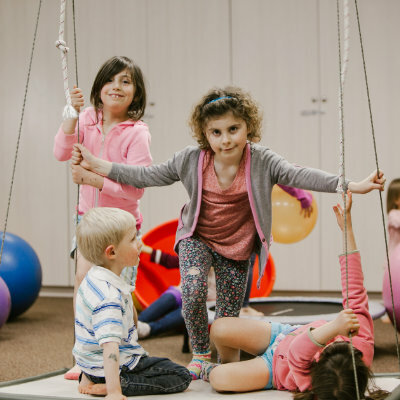 The best course of action for a type of therapy for your child and an ongoing schedule will be determined with your guidance after your initial assessment. We understand that needs change so we are flexible and will adjust treatment sessions at any time. 5 – 10 minutes of consultation with the caregiver for follow-up and to provide strategies to try at home (if applicable). 5 minutes of charting and documentation. Planning and charting are essential for maintaining the integrity and quality of your child’s treatment. It assists in tracking our progress, determining treatment effectiveness and guiding future treatment options. Evidence shows that the best way to make change is for the strategies to be implemented every day across multiple environments. We want to empower you as caregivers, as well as your team, to provide the strategies and tools necessary to help your child move their mountains. It is our belief that regular coaching and collaboration consultations will bring forth tremendous growth across all environments. Treatment intensives have been shown to be one of the most effective treatment models used with children with sensory and motor challenges. The model entails short term intensive therapy 3-5 times per week and is based off the treatment model taught at the STAR institute in Denver, Colorado. Many of Movin’ Mountains therapists have been mentored by Dr Lucy Jane Miller at the STAR Institute because we believe in the effectiveness of this model and understand how to coach you to use it with your child. 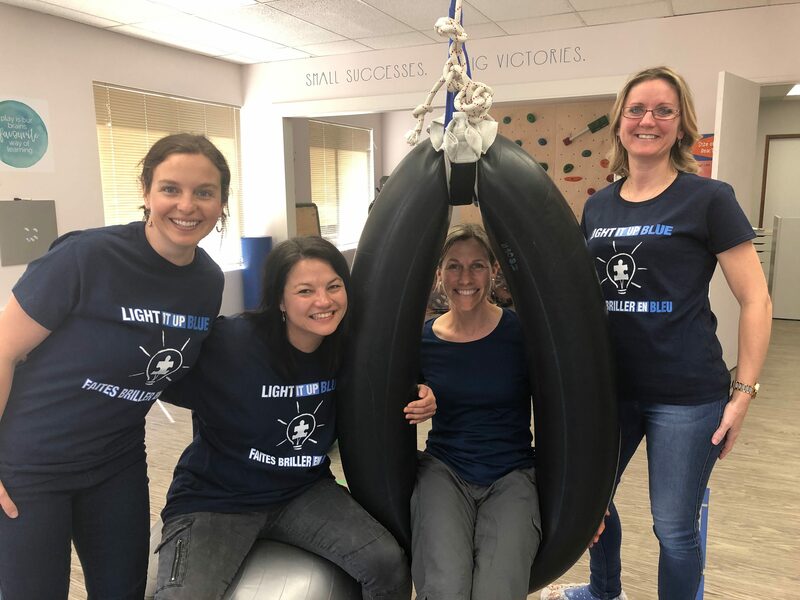 Movin’ Mountains offers Summer Intensives that allows for a wider variety of people to access the PT, OT and SLP services who might otherwise be limited by geographical location or time commitments. If you do not have access to therapy services in your town, or you feel like you would prefer to commit to a shorter period of intense intervention, then this may be a great solution for you. Please talk to your therapist if you feel like this may be the best option for you and your family. Co-treatment sessions are a unique way to combine the experience and expertise of two therapists during a combined treatment session. 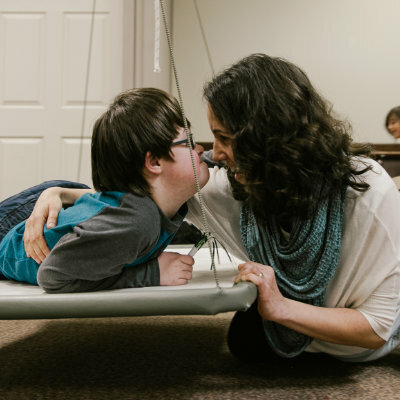 This is an opportunity for two different disciplines (Speech Therapy (SLP), Occupational Therapy (OT) and Physical Therapy (PT) to work together with you and your child to maximize therapeutic goals and progress. The decision to co-treat will be made in collaboration with you, your family and team. Children who are working on similar goals may benefit from the experience of a semi-private session where they can collaborate with a peer. A semi-private session provides the extra benefit of addressing social skills, motivation, and problem solving with a peer. These joint sessions can often act as a bridge towards participation in a bigger group setting. If you are interested in a semi-private session please discuss the potential with your therapist. We regularly hold group sessions for all ages at Movin’ Mountains and many of our groups are open to the public. Group therapy has been shown to decrease social isolation, improve social and motor skill development and positively affect self esteem. Find out more about the types of groups sessions we offer and check on our current registration deadlines.